When will be How to Cook Well with Rory O'Connell next episode air date? Is How to Cook Well with Rory O'Connell renewed or cancelled? Where to countdown How to Cook Well with Rory O'Connell air dates? Is How to Cook Well with Rory O'Connell worth watching? Rory O'Connell is one of Ireland's most experienced cookery teachers - he has been teaching people how to cook for more than 30 years, having co-founded the Ballymaloe Cookery School with sister Darina Allen. And in this series, How to Cook Well, Rory introduces the timeless, classic, and essential techniques which every cook needs to understand and implement if they want to cook well. Salad of Figs, Goats Cheese, Mint, Grilled Squid, Cherry Tomatoes, Marjoram and Spaghetti with herbs. Also Coconut and Lime Cake. Pumpkin Soup with Toasted Pumpkin Seed Oil is Rory's starter and his main course is Spiced and Braised Lamb with Saffron Potatoes. Dessert is Lime Orios with Yoghurt, and Banana and Lime Ice. Rory prepares Roast Cauliflower with Red Onion, Cumin Seed and Muhammara a hot pepper dip, Grilled Chicken Paillard with Roast Grapes, Almonds and Rosemary and Chocolate and Caramel Whip Langues de Chat for dessert. Rory prepares a Salad of Coolea Cheese with Apple Syrup and Roast Hazelnuts, also Braised Beef with Oysters and Oyster Mushrooms, followed by Champagne Rhubarb and Blood Orange Tart. Final. 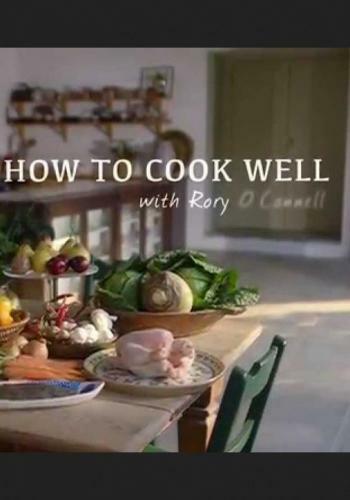 How to Cook Well with Rory O'Connell next episode air date provides TVMaze for you. EpisoDate.com is your TV show guide to Countdown How to Cook Well with Rory O'Connell Episode Air Dates and to stay in touch with How to Cook Well with Rory O'Connell next episode Air Date and your others favorite TV Shows. Add the shows you like to a "Watchlist" and let the site take it from there.